So my roommate is a huge thrifter and I like to dabble as well sometimes. 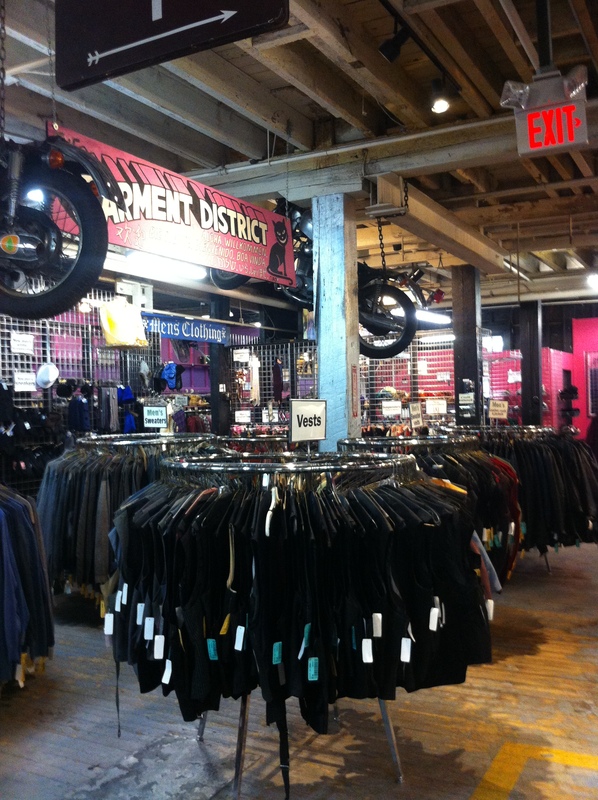 There’s this really cool place in Cambridge called The Garment District that is essentially a GIANT warehouse with a bunch of different sections of discounted clothing. 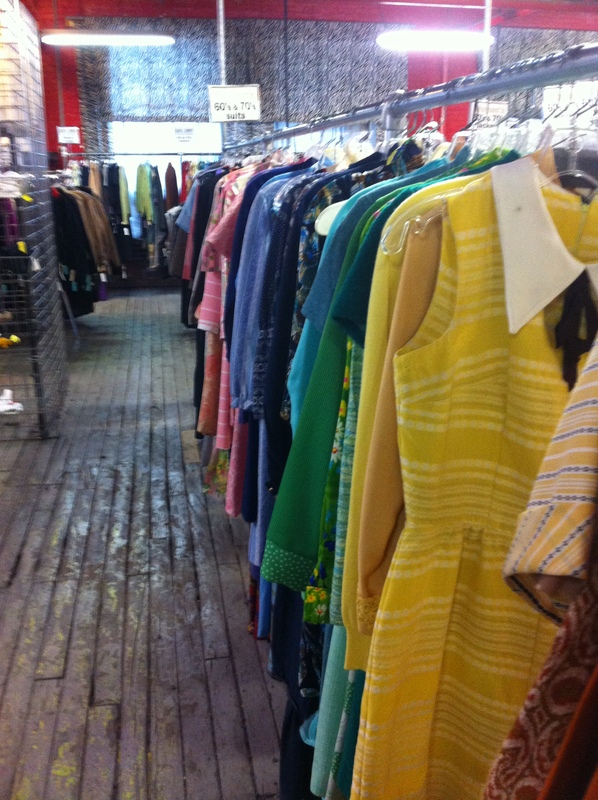 You could find literally almost anything you’re looking for- Flannels, vests, shoes, your occasional flapper dress, the works! 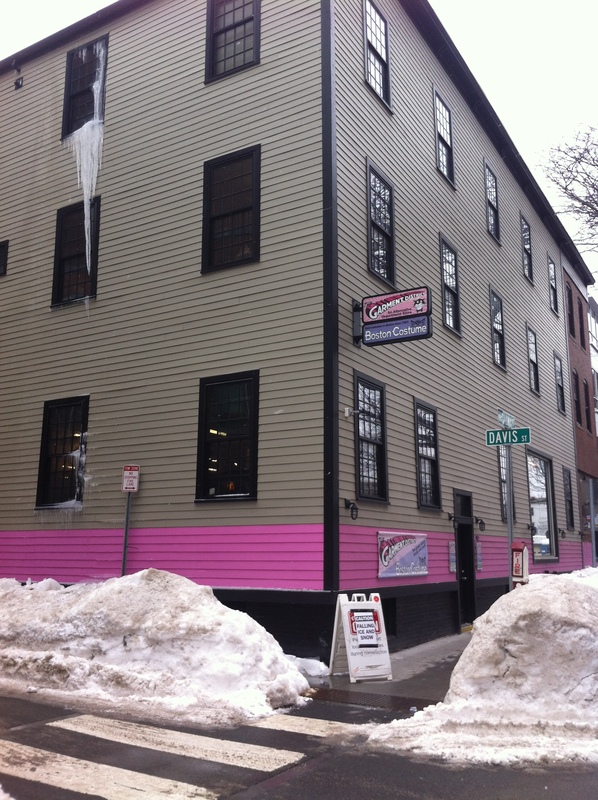 The Garment District is located at 200 Broadway Street, Cambridge MA. There’s usually plenty of metered street parking right in that area and is within total walking distance of Kendall Square or Central Square (where you can visit Flour too!). Seems like a pretty basic storefront from the outside but inside is a bevy of quirky knick knacks and fun finds! They are also coordinate with Boston Costume and sell all sorts of costume pieces inside. It’s literally a one stop shop! One of my favorite sections inside is called Dollar A Pound! 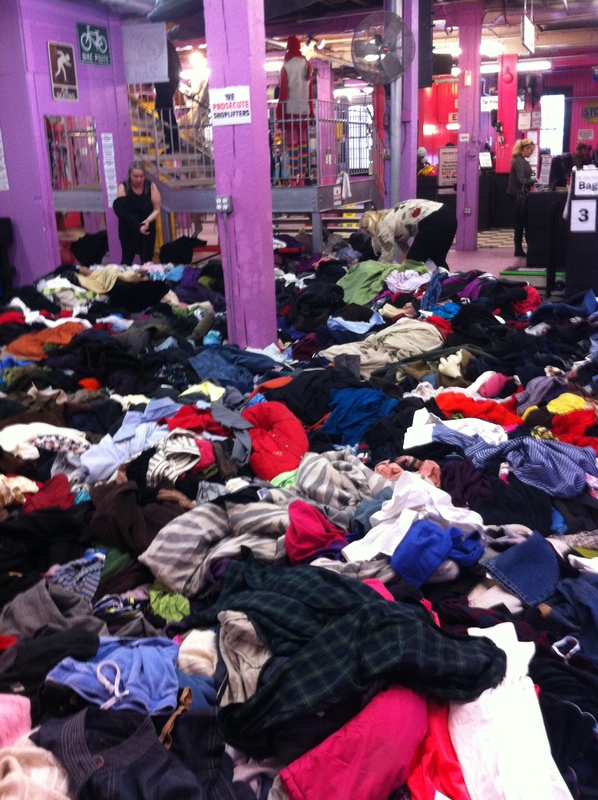 This idea started in the 80’s where they would bring in bales of clothing and release it all over the floor. You can dig and dig to your hearts desire to find some pretty cool pieces of clothing. They currently sell clothes for $1.50 per pound so you can pretty much get a shirt for less than a dollar! It’s seriously such a steal if you don’t mind gently used clothing! Of course you have to dig through some pieces that are… well.. less than admirable but I always walk away with a gem or two. 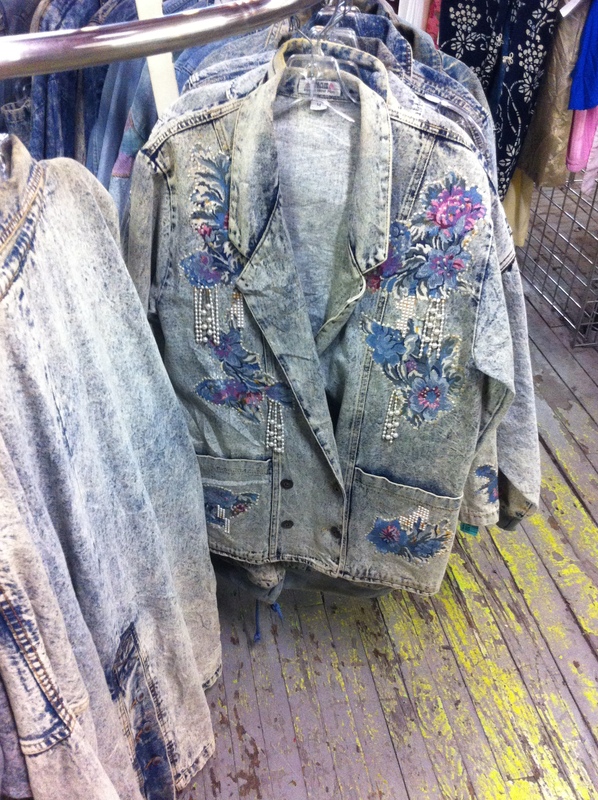 Who doesn’t like a sweet 80’s white washed, bedazzled jean jacket? Do you guys know how many themed parties I can throw utilizing a place like this!? You’re all invited!! The flannel rounded out to 12 bucks so I spent less than $15 for five pieces of clothing! My wallet thanks me. Keep checking back for more cool places I explore in Boston!